The largest lake in California (376 square miles)�seems like a very strange place. It's in a desolate location, most of its water comes from agricultural runoff, and nobody swims in it. People are trying to restore it.�Here's a brief National Geographic piece on it. 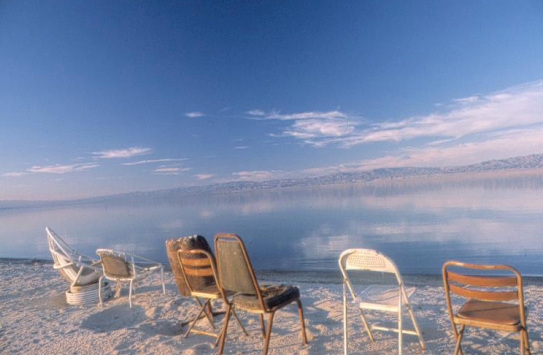 �Photo from this Salton Sea Photo Gallery.